The dispute over whether a pipeline should be built to transfer Greater Sunrise gas to the South Coast of Timor-Leste for processing is the most pressing for Timor-Leste’s economic future. For many commentators, this visit signalled an improvement in bilateral ties since the signing of the maritime boundary treaty. Australia is evidently more willing to engage with its neighbour now that the controversial issue has been resolved. Yet tensions remain between the two states over the prosecutions of Witness K and Bernard Collaery, and the ongoing contest for the development of the Greater Sunrise complex of gas fields. The latter dispute, over whether a pipeline should be built to transfer Greater Sunrise gas to the South Coast of Timor-Leste for processing, is the most pressing for Timor-Leste’s economic future. 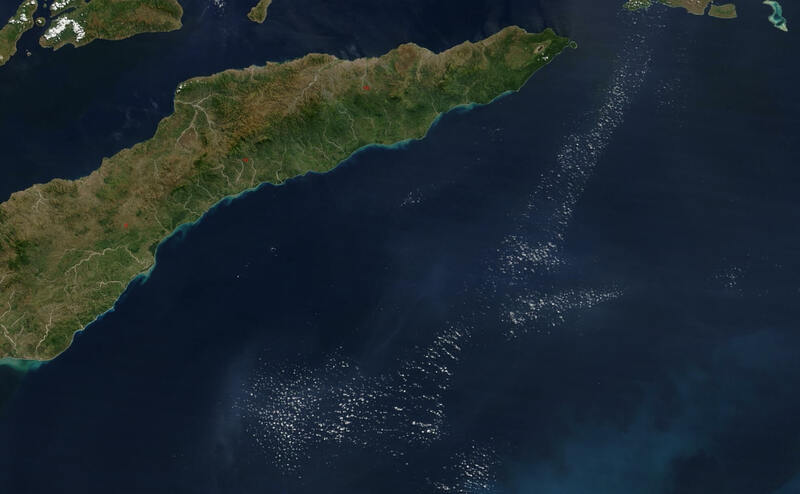 What is often overlooked is that the maritime boundary did not provide Timor-Leste with “control” or “ownership” of Greater Sunrise, as it remains subject to joint development. Further, the maritime boundary resolution has enabled Australia to deal itself out of that dispute while presenting itself through this example as committed to the “rules-based order”. Sophie Raynor rightly pointed out that Australia has effectively washed its hands of the Greater Sunrise gridlock (Julie Bishop’s new Timor-Leste chapter). It now presents itself as “pipeline neutral”, and as a mediator between Timor-Leste and the venture corporations led by Woodside. Certainly, Australia would be hoping that this diplomatic visit would provide ballast to its claims that Australia and Timor-Leste have reached a “new chapter” in bilateral relations, even though the most materially substantive aspects of the Timor Sea dispute remain ongoing. Yet Timor-Leste’s leaders also have a role to play in this gridlock. During the United Nations Compulsory Conciliation, lead negotiator Xanana Gusmão was insistent that the pipeline was “non-negotiable”. The report produced by the Commission engaged an independent expert to assess two models for development: one that employed the existing Darwin plant, the other based on a pipeline to Timor-Leste. It found that Timor-Leste would need a subsidy of US$5.6 billion to make their project feasible. This is around four times its normal yearly national budget. Energy writer Damon Evans argues that Timorese leaders have been misleading the public about the viability of the pipeline. Reports written by energy consultants that have cast doubt on the viability of Timor-Leste’s plans have either been criticised or buried by Timorese leaders. A recent report suggests that Timor-Leste is seeking to use its sovereign wealth fund to buy out ConocoPhillips’ and Shell’s billion-dollar interests in the Greater Sunrise gas complex. Why are Timor-Leste’s leaders so wedded to this development plan? There are other options available that would increase the nation’s share of downstream revenue. If Timor-Leste does not get its pipeline, it will receive 80% rather than 70% of the asset, a difference of around US$3.1–3.5 billion (nearly half the subsidy required for the pipeline). Is this devotion to the pipeline due to a genuine belief that oil industrialisation would enable Timor-Leste to become the next Singapore? (Let’s not forget that when Singapore developed its economy, it was not competing with itself in Southeast Asia.) Or is it due to personal and/or political motivations? [a]s part of a revitalised economic partnership, Ministers agreed to continue constructive discussions on the development of the Greater Sunrise resource, noting its importance for Timor-Leste’s prosperity. [w]e want to work and collaborate with Timor Leste and the joint venture companies to find a pathway to develop the Greater Sunrise gas field. It is the development of Greater Sunrise that is most pressing for Timor-Leste’s future as an independent sovereign state. Yet, it appears – at least on the surface – that this remains at a stalemate. If, as Timor-Leste’s negotiators have reportedly suggested, they will seek to engage China’s Belt and Road Initiative for the pipeline subsidy, we could see this “new chapter” in bilateral relations turn sour very quickly.